Alyson Greenfield is one of those artists who are everywhere, both behind the scenes and center stage. 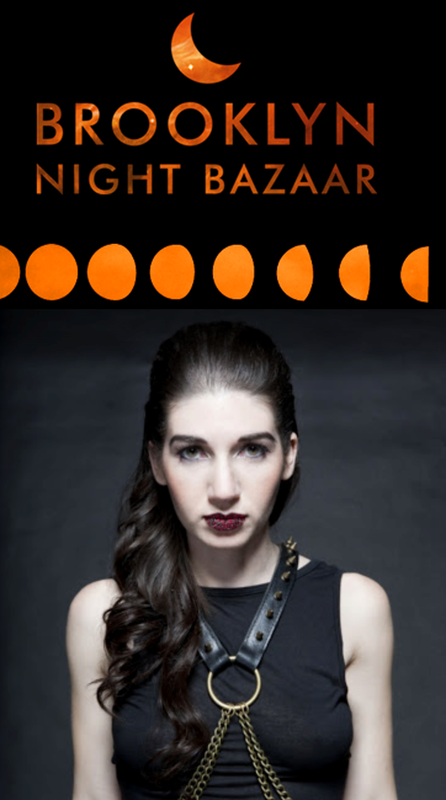 Now she returns to the scene with new music and debuting her single “Uncharted Places.” Greenfield will release the track at the Roc-Elle Records’ curated Brooklyn Night Bazaar on May 30th at 8pm, performing alongside Hearts revolution, Ninjasonik and Demetra. See event details here. Throughout the indie music scene in NYC, Alyson has become known for partaking in multiple projects. 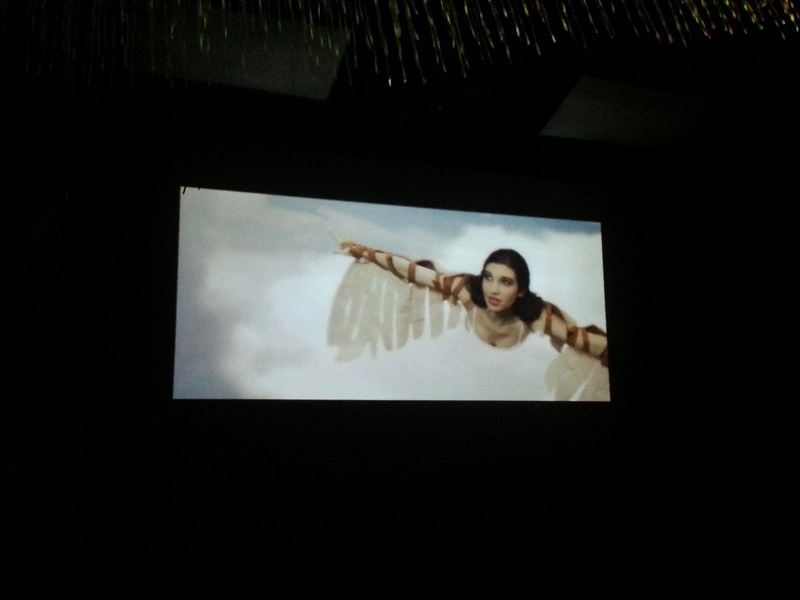 In the Fall of 2013, she directed and performed in the Tinderbox Music Festival. Earlier this year, she worked with film director Michael Carr to score a feature film The American Templars, and also had placements in the film SuperSleuths which premiered at the 2014 SXSW Film Festival. During this time, Alyson also formed a new synth-pop side project, Polyvox, with collaborator Joe McGinty, who also collaborated with Psychadelic Furs, and The Ramones. Additional highlights include becoming a regular at the Loser’s Lounge series at Joe’s Pub, and a featured performer at the 4th Annual Brooklyn Rock Lottery alongside band members of Oneida, Bad Girlfriend, Superhuman Happiness, and Rainer Maria. 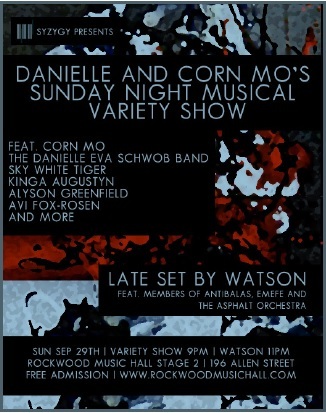 Alyson is also known for participating in various musical communities throughout New York City. She talks about some of her experiences in this clip. 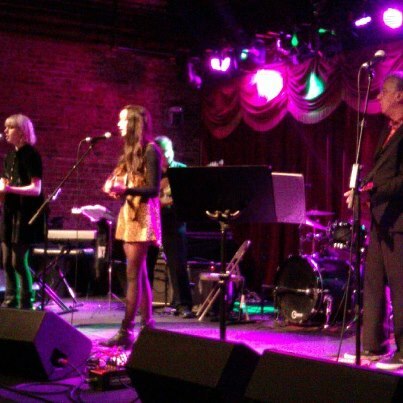 The Beatles Complete on Ukulele at the Brooklyn Bowl is a musical collaboration between young singer-songwriters on the New York City music scene and lifelong instrumentalists that met for the purpose of celebrating the canonical music of one of the most world renowned British bands. Music producer and ukulele player Roger McEvoy Greenawalt led this event for the fourth time. This year, the back-up band he played with was The Angry Buddhist East Band. On stage, from 8:00pm to 12:00am this past Wednesday, Roger was also joined by a number of musicians of different professional backgrounds. The Brooklyn-based experimental singer-songwriter, Alyson Greenfield was the first artist to jam with Roger on a cover of “Glass Onion” and “I Will.” The electric violinist who has toured the world with Cyndi Lauper, appeared on Saturday Night Live and the Late show with Conan O’Brien, Deni Bonet helped Roger and the back-up band transform the upbeat “Please Please Me” into a folky minor-key serenade. Avi Wisnia worked with Roger to turn “She Loves You” into a slow and sensual cover that echoed the pop singer-songwriter’s signature Bossa Nova sound. Additional artists that joined Roger that night included: Mike Rimbaud, who covered “Can’t Do That”; Olivia Mancini who performed a rendition of “I’m Looking Through You”; the ukulele female duo, Supercute that performed “Getting Better”; Leah Siegel who performed “Oh Darling”; the underground industrial rock musician, Yuzima who covered “Hey Jude”; Craig Greenberg who together with Joy Askew performed a rockin’ version of “While My Guitar Gently Weeps”; and many more. One might call this event a breath of fresh air, especially if the individual looks to get away from the confines of mosh-pit concerts or the house DJs in New York City’s most expensive clubs. The Beatles Complete on Ukulele allows Brooklynites to enjoy music among a crowd of respectable musicians and audience members. On this note, I will talk about some of the reasons why this event is attractive, as well as reasons for why some people might be turned away. The meeting of musicians of all ages and different musical backgrounds attracts a crowd of people that come from different walks of life and span across a wide age range. Some audience members might have formed a friendship with the musician from past shows, and have come to this event to lend their support and see a familiar friendly face on stage. Some might have just come from work, looking to have good and clean musical fun. The majority of the audience absorbed the atmosphere and performance vibe just in front of the stage. The bar in the back of the performance space, just at the right of the coat check, was occupied by individuals that had planned social meetings with several of their closest friends and acquaintances, and purposely wanted to keep the music in the background. However; this is not to say the music didn’t reach them at all in the foreground of their conversations. As I waited at the bar for a Brooklyn Lager and a long flat bread pizza, I listened to Craig Greenberg and Joy Askew play “While My Guitar Gently Weeps” and applauded them. A British man in a long black blazer and shades to my right joined me in my applause and remarked “This band definitely rehearsed!” I responded with a nod of agreement. I watched Yuzima lead the crowd in a sing-along to Paul McCartney’s “Hey Jude” – a moment that lifted everybody’s spirit and created a sense of community in the audience. Earlier in the program, Leah Siegel sang her rendition of “Oh Darling,” in which she gracefully choreographed a physical performance that communicated beautiful anguish. This performance could only make some of the feel like Leah was specifically singing to them. Whichever artist came up to the stage, Roger was always in the foreground interacting with the main act. This makes audience members, especially those who are new to the Beatles Complete, naturally think that Roger is a part of all these groups. As for those who are returning for a second time to watch this line-up, they will also feel like Roger is a part of every musical act. Roger’s complete sense of comfort and joy in performing with each consecutive performer might attribute to this visual affect. Some might even begin to wonder how he finds the energy to stay on for the entire four hour program. I applaud the musicians for overcoming the distractions from the bowling area adjacent to the main stage. Every musician that night performed with Roger and The Angry Buddhist East Band like they were at an intimate venue. Attendees can rest assured that they will get their money’s worth at the Beatles Complete. On this note, I should mention the ticket is only $10.00. However; if you are very pleased with what you hear and see, you will probably feel compelled to enjoy some food and drink. Now, here is where I believe concert attendees will run into a petty and annoying detail: Brooklyn Bowl is an expensive place. The drinks are all over $6.00 and customers can only use credit cards for a minimum of a $10.00 purchase. Although this might be great for attendees that crave food; a dish as simple as a Margherita flatbread pizza is at least $10.00. This and a drink come to $20.00 per individual, and this is only bar food! In addition, the kitchen closes at 11:00pm – something that audience members must research in advance. Although I can come to understand the kitchen has to close at some time; the price for food and drink is still a little bit high. However; I do say the price is definitely worth the great experience at The Beatles Complete. I must also warn concert attendees that if they wish to take a cab home, they must vigilantly seek a yellow cab service as opposed to the white or black Lincoln Town Cars that are used in the highly popular and dodgy “gypsy cab” scheme. The outside of Brooklyn Bowl will be lined with both real taxi cabs and false ones. 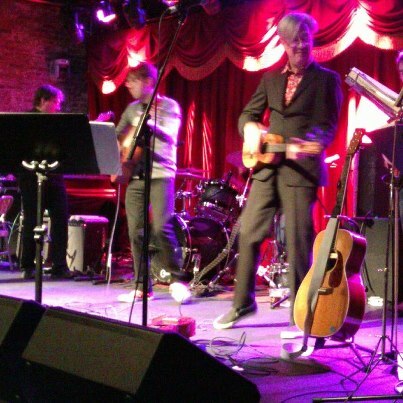 In conclusion the positives of The Beatles Complete on Ukulele at Brooklyn Bowl weigh out the negatives. The greatest strength about this performance includes Roger Greenawalt’s love for the Beatles, ukulele and collaboration with great artists on the independent music scene. I am happy to share some very muffled-sounding videos from Wednesday night’s performance right here on my Youtube channel. I apologize for the poor sound recording quality but I hope readers form a good idea about the experience they might have if they’re interested in coming out to Brooklyn Bowl either for next year’s Beatles Complete led by Roger or other musical occasions. And then, of course, there is always the bowling. 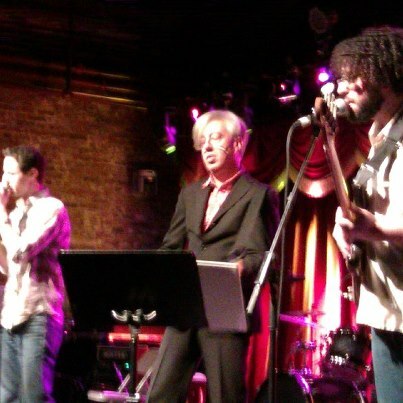 Finally, for those real music lovers out there; The Beatles Complete is a great opportunity to see who is active on the independent music scene of New York City. Most of the artists that performed with Roger on stage that night are very likely to have something new – an album, a tour, or exciting musical project – taking place in the New Year. So, to those that came out to the Beatles Complete last Wednesday night, I hope they enjoyed themselves and the musical experience. For those who did not, I encourage them to learn more about the musicians, including Roger Greenawalt, and make a trip to Brooklyn Bowl for next year’s performance.